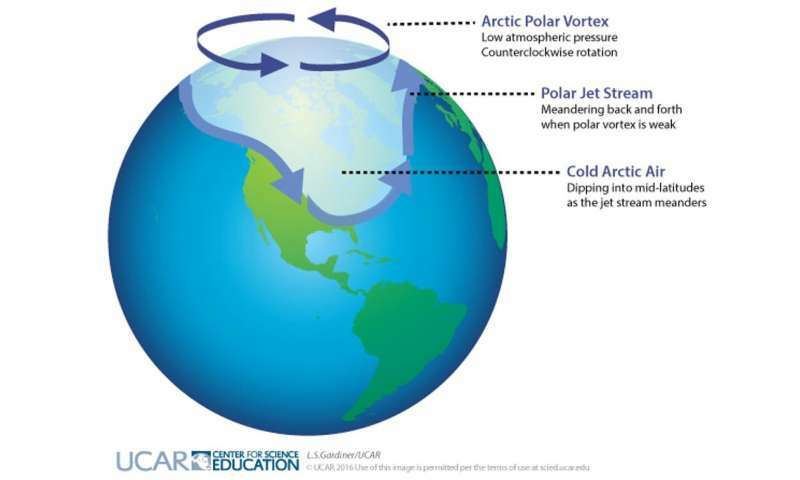 Actually, there are two polar vortices in the Northern Hemisphere, stacked on top of each other. The lower one is usually and more accurately called the jet stream. It's a meandering river of strong westerly winds around the Northern Hemisphere, about seven miles above Earth's surface, near the height where jets fly. Greenhouse gas emissions from human activities have warmed the globe by about 1.8 degrees Fahrenheit (1 C) over the past 50 years. 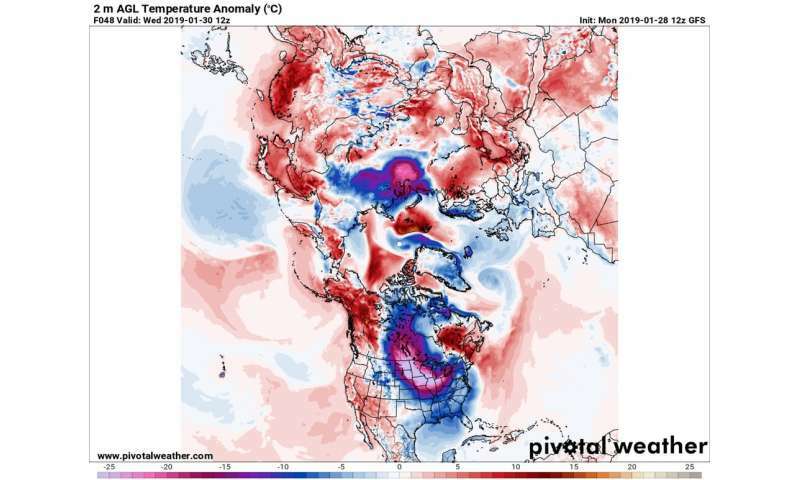 However, the Arctic has warmed more than twice as much. 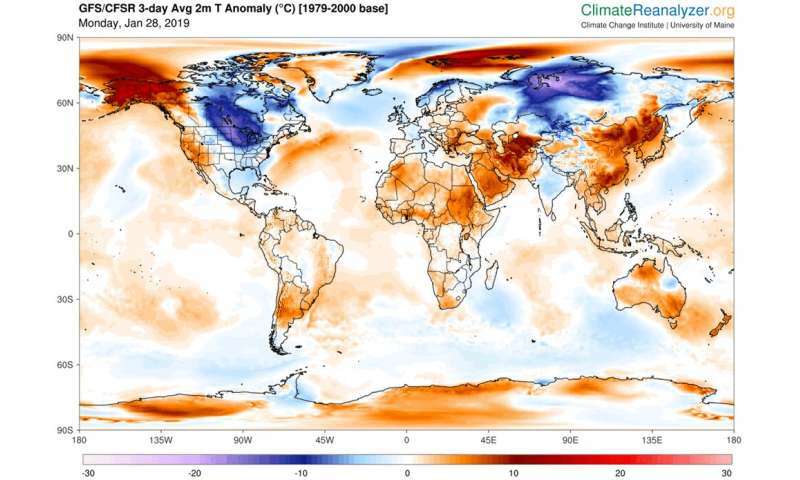 Amplified Arctic warming is due mainly to dramatic melting of ice and snow in recent decades, which exposes darker ocean and land surfaces that absorb a lot more of the sun's heat. Symptoms of a changing climate are not always obvious or easy to understand, but their causes and future behaviors are increasingly coming into focus. 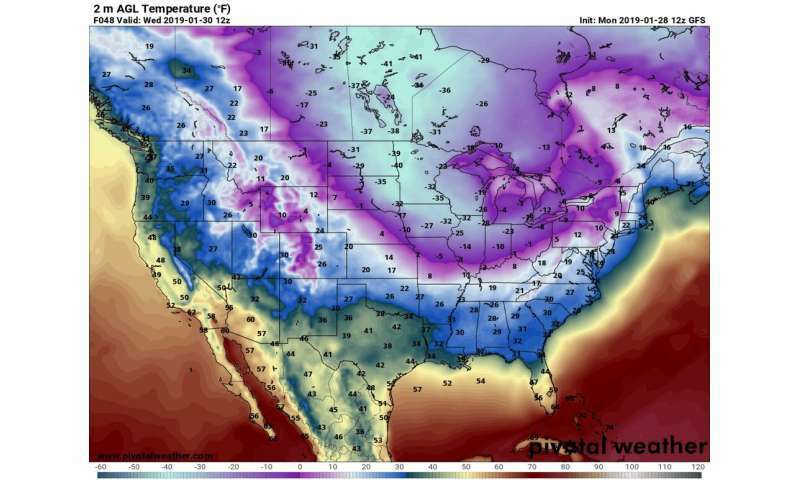 And it's clear that at times, coping with global warming means arming ourselves with extra scarfs, mittens and long underwear.